Chasing Styx is a 2016 “bullet hell” shooter with 16-bit “adventure game” aesthetics. The game was developed by an indie company named Forepaw Studio. Chasing Styx is currently available for free download on Steam. The game was also one of the last released on the Xbox 360’s now defunct Indie Games Marketplace, selling for the low price of $1. It is no longer available for download on that console, but those that purchased it prior to the Marketplace shutting down can still play. 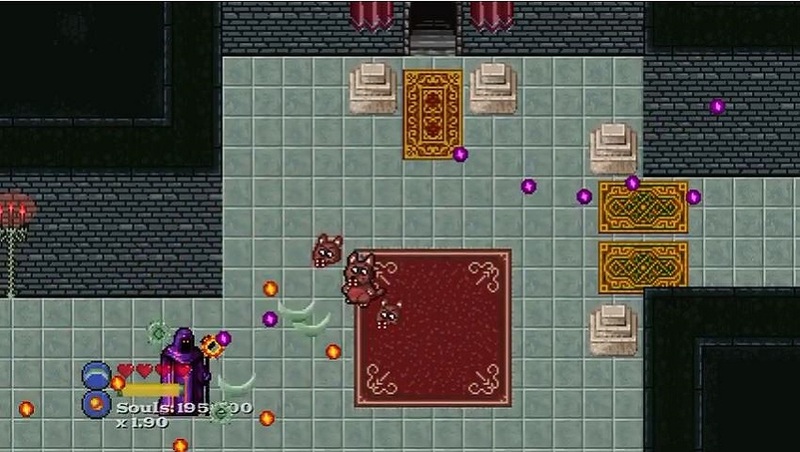 You play as “Cerberus”, the 3-headed demon dog that guards the gates to the Underworld. 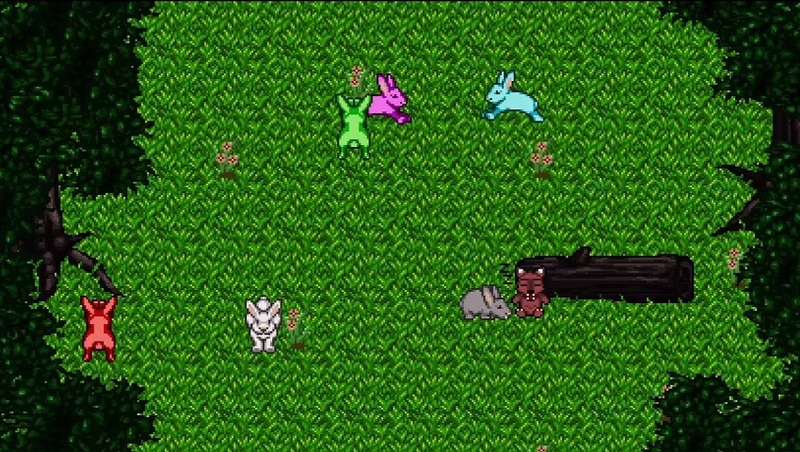 One day, while napping on the job, you inadvertently allow a group of bunnies to enter the land of the dead. That’s right, bunnies! This one’s safe for the whole family, folks! Well, the game is. The review might not be. Hades, the Lord of the Underworld… your boss… is pretty pissed about you allowing the bunnies to enter his domain. Their cuteness is distracting the dead from the misery of eternal torment! Or was it the torment of eternal misery? Either way, it is now your job is to kick the bunnies out! Naturally, this will be nowhere near as easy as it sounds. Unlike conventional “shoot em’ ups”, such as either the successful Raiden or Gradius series, Chasing Styx features gameplay and level design more reminiscent of late 80’s/early-90’s console adventure games, such as Crystalis (for NES and GBA) or the Y’s series. (Or the early Zelda games, to a lesser extent.) 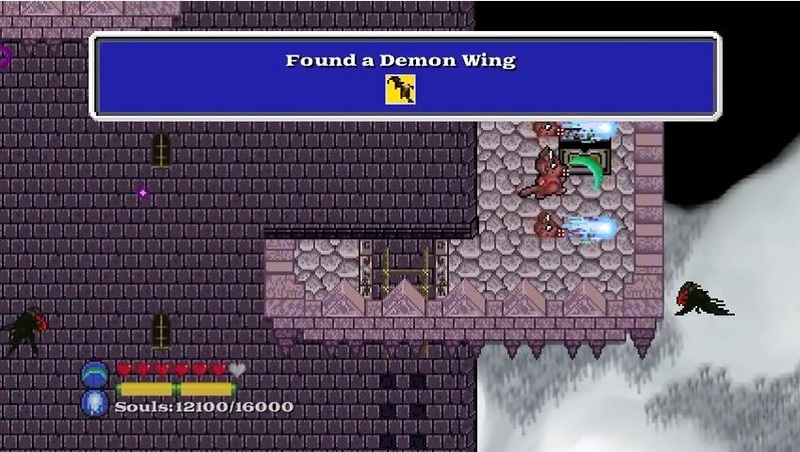 Players traverse a sizable level map, battling monsters and searching for a few scattered treasures, frequently moving on to new sections of the level by simply walking off the screen. 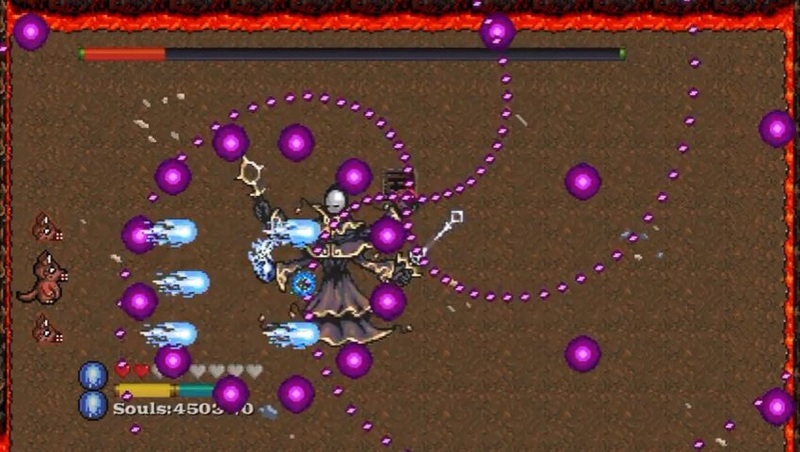 However, instead of engaging in direct physical combat, Cerberus fires projectiles at his enemies, much like a spaceship would in a standard arcade “shmup”. 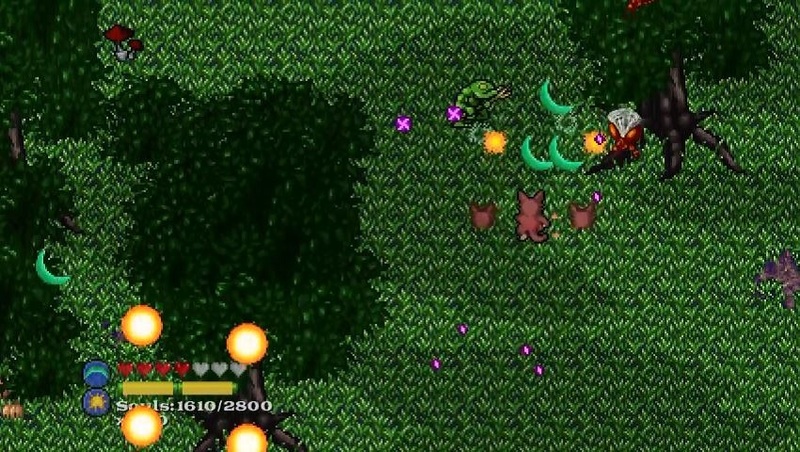 All the while, the player must frantically dodge a constant barrage of counter-fire while also not running into the enemies. Naturally, this is easier said than done. As Cerberus, you control a single-headed body, while your 2 additional heads float off to either side of you. In addition to also firing at enemies, these heads act as shields, absorbing any enemy fire that they come into direct contact with. You also have a “special move” that quickly rotates these heads around Cerberus’s main body, helping to “deflect” heavy fire. There is a meter that depletes after each use, but it does refill quite quickly. There is also a “dash” move to help dodge incoming enemy bullets, which uses the same meter. Defeating enemies earns you “souls”, Chasing Styx‘s equivalent of “experience points”. How killing one creature can earn you more than one soul theoretically makes little sense, but killing them in quick succession does apply a “multiplier” to the number of souls earned. This “multiplier” will deactivate with time if no enemies are killed. As with normal experience points, earning souls will increase your character’s level, earning you increased and additional abilities. The game presents 2 difficulty levels: “Pretty Puppy” & “Hell Hound”. Naturally, “Pretty Puppy” is the easier of the two. You might want to start with that one. Your quest starts at the river Styx, a small strip of stone surrounded by lava that you can NOT fall into. The area acts as the game’s “central hub”. Here, you can save your progress, upgrade abilities, and access the game’s stages in order to hunt down those bunnies. In this section, you will also encounter 2 other characters: A lonely, talking skull and a large gelatinous cube. Both characters request for you to hunt down various body parts scattered throughout the Underworld’s various stages. The skull wishes to use these parts to replace those stolen from its own body. The cube just wants to eat them. Either you choose will grant you new abilities, usually affecting your rate and range of fire and/or projectile type. Chasing Styx contains 6 stages in which to find the bunnies. However, only 3 of these are unlocked at game start. These stages are the Haunted Forest, Hades’ Castle, and the Path of Graves. Each stage contains a “boss monster” who must be defeated in order to retrieve the bunny that has fled into said stage. Defeating these bosses also earn you access to the other levels. The final 3 levels are the Sucking Swamp, the Campanile of Pain, and the Chasm of Doom. The Sucking Swamp is unlocked by completing the Haunted Forest stage, with the 5th and 6th stages unlocked by completing the 2nd and 3rd stages respectively. Gameplay is simplistic, yet quite difficult. While you do have the ability to upgrade or change your projectile type, your means of attack remains relatively unchanged throughout the course of the game. That means that playing is never more complicated than aiming, shooting, and running away from incoming fire….. usually all at the same time. This is much easier said than done when presented with dozens of enemy bullets flying across the screen! However, Chasing Styx does feature local co-op gameplay, meaning that you and a friend can raise Hell together as a pair of bunny-loving demon dogs! Graphics are also undeniably dated, although that would obviously seem to be a stylistic choice as this is retro video gaming at its core. While graphics could be a little more impressive, Chasing Styx more than makes up for it with a stellar MIDI-inspired soundtrack. It is worth noting, however, that the Steam version of the game does feature marginally better graphics and vastly higher frame rate, making enemy bullets seem even faster. Overall, it’s the more polished version of the game, making it the more preferable version to play. Then again, it’s also the only version available for download, so…. yeah. At $1 for the Xbox 360, Chasing Styx was a steal. For free on PC, it’s closer to grand larceny! There are options to obtain the game via a “pay what you want” format, but let’s face it… you probably aren’t going to do that. Whichever option you choose, if you are a fan of retro twitch gaming and classic arcade shooters, Chasing Styx comes HIGHLY RECOMMENDED.